The Viking Mars Lander touched down on the surface of Mars on June 19, 1976. I remember watching the first picture appear, line by line, on our neighbors’ TV. 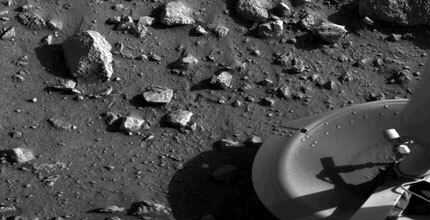 It doesn’t look like much, but this was the first photo I’d seen from the surface of another planet! Not counting the moon, of course (it being a moon).